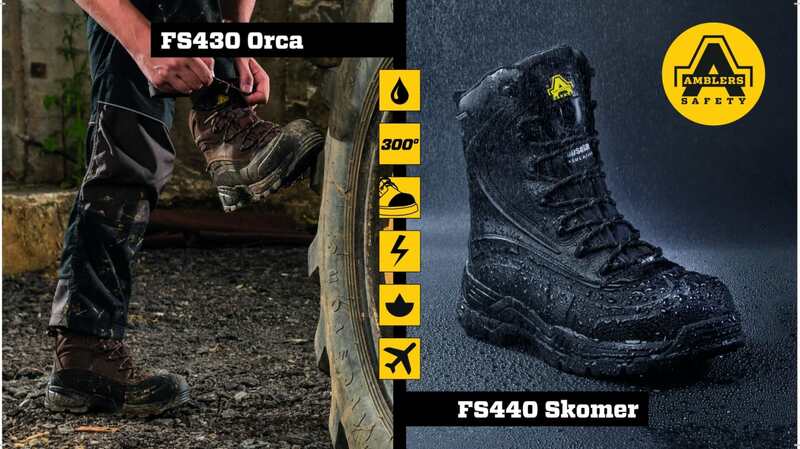 As the climate changes in the great outdoors, so does the demand for PPE retailers to offer their consumers a new level of rugged and reliable footwear. The Amblers Safety SBH Hybrid is a stylish, comfortable and sturdy boot and was the highlight of the A+A International Trade Fair 2017. European distributors were overwhelmed by the reaction of customers. The boots not only have a fully waterproof high rubber galosh with sealed seams at the base, but also an internal waterproof, breathable membrane. 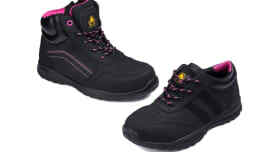 This combination of precise technology is designed to keep your feet 100% dry when working in exposed environments. Moisture wicking lining and water-resistant breathable mesh panels provide perfect climate control, reducing the risk of sweating feet. Construction sites and agricultural terrains can become wet and slippery due to inclement weather conditions. A high-profile temperature resistant nitrile rubber outsole with special traction surface pattern gives excellent grip and high edge stability for precise stepping on uneven ground. PPE has taken an evolution in comfort. Not only are the elements considered in the SBH Hybrid wear, but also the ability to work on your feet all day. Metal-free components keep these rugged boots surprisingly lightweight. A 200J impact and compression resistant toe cap is ergonomically shaped from lightweight fibreglass composite materials offering a wide toe box for plenty of wriggle room. The boots are also equipped with an anti-penetration non-metal high strength synthetic fibre midsole, giving on-site underfoot protection. Energy-rebounding EVA foam pellets in the midsole offer light, flexible and resilient underfoot cushioning. The ergonomically shaped memory foam foot bed with pressure point support comfortably moulds to the shape of the foot. These features combined with deep padded collars meet a professional’s demands for all-day comfort and function. Features: The Amblers Safety AS440 Skomer Hybrid is the ultimate boot for weatherproof protection. The protective shell on the boot comes with thermal properties designed to retain heat. It has 200g Thinsulate™ insulation for reliable warmth, ideal for wet and cool conditions. A metal free YKK side zip with protective weatherproof tab allows for quick removal after a long shift. Application: construction, distribution, duty/security, masonry, mechanic, oil and gas, railroad, shipping, tradesmen, and utility works. Features: The Amblers Safety FS430 Orca Hybrid Mid Boot makes for an ideal year-round outdoor footwear partnership. Where lace up comfort meets wellington with speed lacing offering a quick release system. Application: agriculture, carpentry, construction, distribution, DIY, lawn/landscape, manufacturing, masonry, mechanic, oil and gas, railroad, security, tradesmen, and utility works.